Maj George Herman O'Brien, Jr.
George Herman O'Brien, Jr. (10 September 1926 - 11 March 2005) was a U.S. Marine Corps officer who received the Medal of Honor, the United States' highest military decoration, for his actions during the Korean War. George Herman O'Brien, Jr. was born on 10 September 1926, in Fort Worth, TX. He graduated from Big Spring High School in Big Spring, TX, in 1944. From December 1944 until May 1946, he was a seaman in the United States Merchant Marine. He then entered Texas Technological College (now Texas Tech University) where he received a Bachelor of Science degree in Geology in May 1950. While in college, he enlisted as a Private in the United States Marine Corps Reserve in July 1949. Ordered to active duty on 27 November 1951, he entered the Officer Candidate School at Quantico, VA. 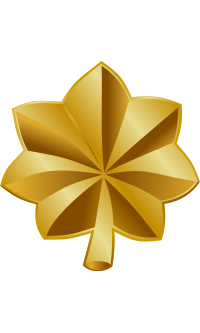 He completed that course in February 1952, and entered the Basic Course the following month, graduating in August 1952. After further training at Camp Pendleton, CA, he embarked for Korea in September 1952, where he joined the First Marine Division. On 27 October 1952, he was serving as a Second Lieutenant with Company H of the 3rd Battalion 7th Marines. On that day, he spearheaded the capture of an enemy-held hill while wounded by enemy fire. For his heroic actions, he was awarded the Medal of Honor. 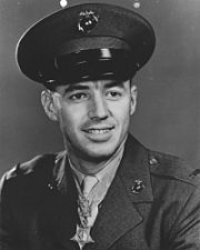 SECOND LIEUTENANT GEORGE H. O'BRIEN, JR.
For conspicuous gallantry and intrepidity at the risk of his life above and beyond the call of duty as a Rifle Platoon Commander of Company H, Third Battalion, Seventh Marines, First Marine Division (Reinforced), in action against enemy aggressor forces in Korea on 27 October 1952. With his platoon subjected to an intense mortar and artillery bombardment while preparing to assault a vitally important hill position on the main line of resistance which had been overrun by a numerically superior enemy force on the preceding night, Second Lieutenant O'Brien leaped from his trench when the attack signal was given and, shouting for his men to follow raced across an exposed saddle and up the enemy-held hill through a virtual hail of deadly small-arms, artillery and weapon fire. Although shot through the arm and thrown to the ground by hostile automatic-weapons fire as he neared the well-entrenched enemy position, he bravely regained his feet, waved his men onward and continued to spearhead the assault, pausing only long enough to go to the aid of a wounded Marine. Encountering the enemy at close range, he proceeded to hurl hand grenades into the bunkers and, utilizing his carbine to best advantage in savage hand-to-hand combat, succeeded in killing at least three of the enemy. Struck down by the concussion of grenades on three occasions during the subsequent action, he steadfastly refused to be evacuated for medical treatment and continued to lead his platoon in the assault for a period of nearly four hours, repeatedly encouraging his men and maintaining superb direction of the unit. With the attack halted, he set up a defense with his remaining forces to prepare for a counterattack, personally checking each position, attending to the wounded and expediting their evacuation. When a relief of the position was effected by another unit, he remained to cover the withdrawal and to assure that no wounded were left behind. By his exceptionally daring and forceful leadership in the face of overwhelming odds, Second Lieutenant O'Brien served as a constant source of inspiration to all who observed him and was greatly instrumental in the recapture of a strategic position on the main line of resistance. His indomitable determination and valiant fighting spirit reflect the highest credit upon himself and enhance the finest traditions of the United States Naval Service. O'Brien received the Medal of Honor from President Dwight D. Eisenhower during a White House ceremony on 27 October 1953, exactly one year to the day after the action for which he was cited. O'Brien was promoted to Major in the Marine Corps Reserve in 1963. After his military service, he returned to West Texas and raised a family. 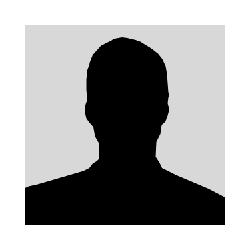 He was an active volunteer at the Big Spring Veterans Administration Medical Center. On 14 April 2005, the Texas State House unanimously passed a House Resolution honoring George H. O'Brien, Jr. In turn, on 15 April 2005, the Texas State Senate adopted Senate Resolution Number 399, "In Memory of George Herman O'Brien, Jr."
A scholarship at Texas Tech University that provides funding for U.S. Marines and their children was named in his honor. At the VA medical center where O'Brien volunteered, a statue of his likeness was unveiled in November 2008. "This Medal of Honor is not mine; I hold it in trust for so many young people who didn't become grandfathers." On 11 March 2005, George Herman O'Brien, Jr. died from complications associated with emphysema and pneumonia in Midland, TX. He is buried at the Texas State Cemetery in Austin, TX, in Section 1, Row B, #15.